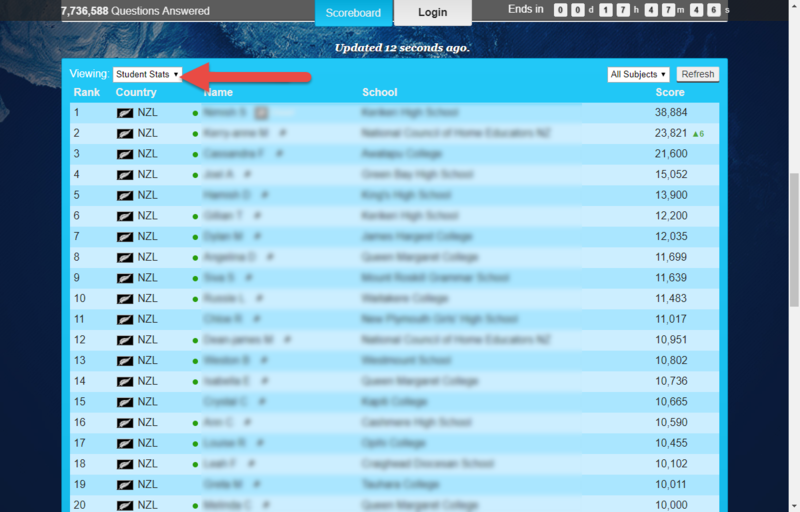 While competitions are in place, you can use the Student Dashboard to see how the achievements of you, your class, and your school measure up compared to the other competitors. After logging in to your Student Dashboard, navigate to the Competitions tab at the top of the page to be brought to an overview of all current and past competitions associated with your account. To find a specific event or competition you can either scroll through the page or use the search bar in the upper right-hand corner. You can also use the subject and time filters to adjust which competitions are displayed here. Click on the desired competition to be taken to the competition overview page. From here, you will be able to see the amount of points and awards you have achieved over the course of the competition, as well as a list of shout-outs sent by fellow competitors and a description of how the event is going so far. To view your ranking, select Global Scoreboard and a new window will automatically open. 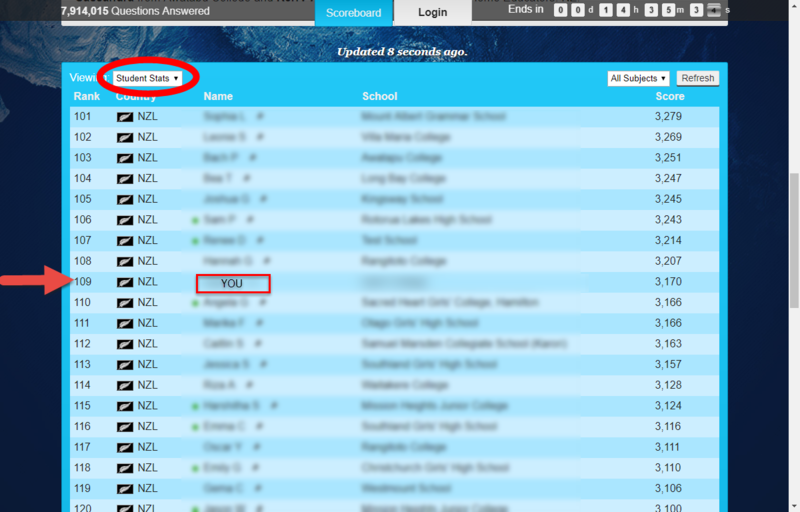 Here, you can view the overall rankings of students, classes, and schools in the competition by scrolling down to the leader board and selecting the Viewing option in the top left. Change it between Student Stats, Class Stats, and School Stats, as required. From here, you will be able to see how you rank up against all the other schools, classes, and students. 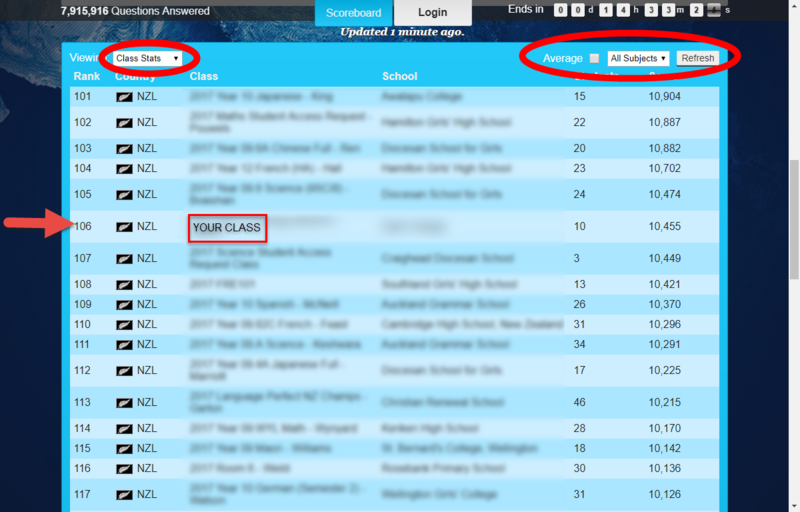 To change the ranking of schools and classes to the average number of points earned by students, rather than the net amount of points, simply check the Average box at the top right of the page and Refresh. You may also change the subject/subjects the ranking is based on. 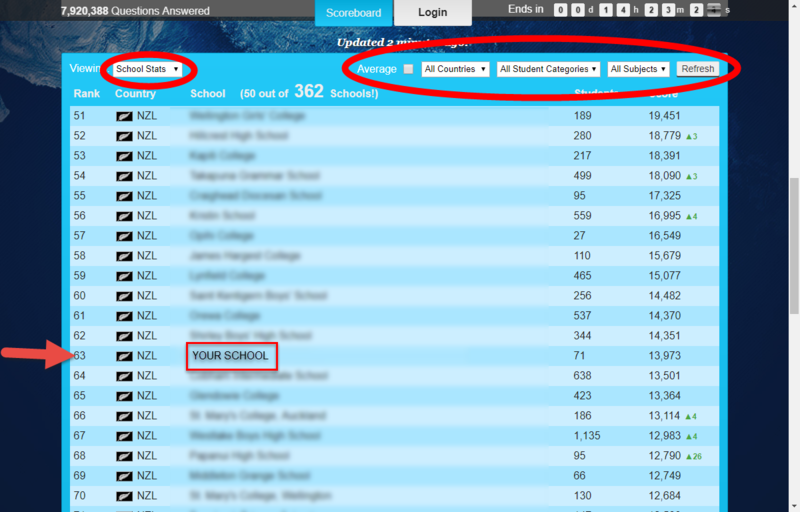 You can also refine the school ranking to different countries and the size categories of the school.